Acorn House017687 72553work Guest HouseAcorn House is a fine Georgian house with a private car park quietly situated a few minutes walk from the town centre. Our prestigious silver award ensures a high standard of cleanliness and hospitality. Luxurious four poster room with en suite shower room. Flat screen TV and hospitality tray. 2 - Four Poster sometimes limits bookings to 3 or more days. Traditionally furnished luxury 4-poster room. Offering large double wooden four poster bed. Luxury en suite with bath with shower over. Beautiful fell views. Flat screen TV and hospitatlity tray. 4 - Four-Poster sometimes limits bookings to 3 or more days. Large luxurious room with king size bed. Offering lovely fell views with en suite shower room. Flat-screen TV and hospitality tray. 6 - King Size sometimes limits bookings to 3 or more days. Acorn House is a fine Georgian house with a private car park quietly situated a few minutes walk from the town centre. Our prestigious silver award ensures a high standard of cleanliness and hospitality. 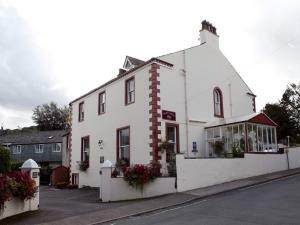 Acorn House Hotel is the ideal place for a long or short break in the heart of the English Lake District.